As we ready ourselves for the return of Doctor Who, we pause for a moment to remember a wonderful actress we lost this past week. 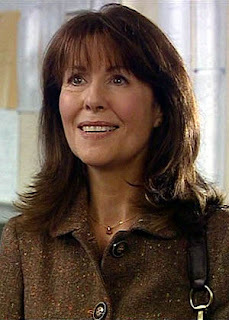 Elisabeth Sladen, most famously known as Sarah Jane Smith, died on April 19th after a battle with cancer. She was 63 years old. To say that fans were stunned would be an understatement. Sarah Jane was not only a Companion to the Doctor, she was THE Companion to many. She began with the Third Doctor (Jon Pertwee) and continued on with the Fourth Doctor (Tom Baker), marking her reign as one of the longest serving Companions in Who history. An entire generation tuned in to see Sarah Jane and the Doctor, along with K-9, roaming the universe and allowing us to no longer be confined to our homes, but out there exploring with them. Sladen and Baker showed us where our imaginations could take us and what wonders we could encounter as a result. Upon her return in the new series, where she met up with the Tenth Doctor in “School Reunion” and then again with the Eleventh Doctor in her own series, she has shown that life with the Doctor is not always easy, but it is always exciting. Sladen has touched the lives of many and her Doctors have had kind remembrances of her. And as we say goodbye to someone who we will never forget, I find her quote from “School Reunion” to be a fitting tribute. "The universe has to move forward. Pain and loss, they define us as much as happiness or love. Whether it's a world, or a relationship... Everything has its time. And everything ends." Goodbye, Elisabeth Sladen. May you find great adventures out amongst the stars. Thank you for letting us tag along with you for all these years.